Luxor, situated 680 kilometers to the South of Cairo, is a city with a special magic. Being the capital of Egypt for a very long period during the reign of the New Kingdom of the Pharaonic era. The golden period of ancient Egypt when it was called Thebes, exploring Luxor offers the tourists with marvelous chances to visit several breathtaking monuments. The word “Luxor”, in the Arabic language, means the numerous palaces. The city took this name when the Moslems conquered Egypt in the 7th century AD as they found a large city in Southern Egypt with many impressive buildings and structures that were constructed in the Pharaonic era so they decided to give it this name, which has become famous worldwide today. There are also many floating hotels in Luxor, where tourists enjoy a Nile cruise journey from Aswan to Luxor, or vice versa, where they enjoy the luxurious facilities and services of the cruise, explore the most important highlights of Upper Egypt, and take pleasure in sailing down the River Nile. 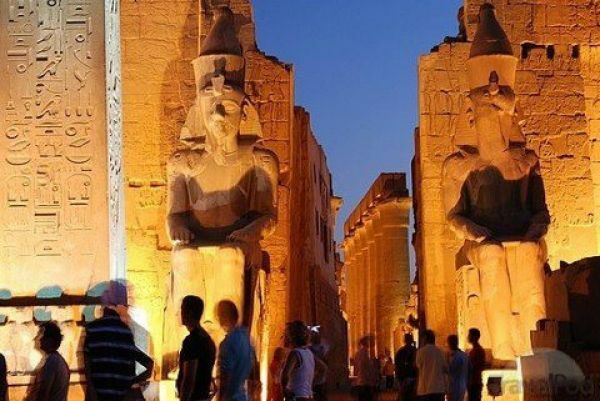 The best tours to Luxor include the major highlights of the city, which was said to host maybe one quarter of the important monuments and antiquities in the world. The most popular historical sites in Luxor include the marvelous Karnak Temple, the center of the cult of Amun, the king of gods. There is also its other twin temple, the amazing temple of Luxor. The West Bank of Luxor was the burial site of ancient Thebes. This is why it hosts the Valley of the Kings, the royal necropolis of the kings starting from the 18th to the 21st dynasties in ancient Egypt. This burial site includes the wonderful Tut Ankh Amun tomb, which was discovered intact in 1922 by Howard Carter in 1922 as the most important archeologist achievement of the 20th century. All tours to Luxor would usually also include visiting the splendid mortuary Temple of Queen Hatshepsut, the Colossi of Memnon, these two huge famous statues which have become a landmark of Luxor, the Valley of the Queens, and many other interesting Pharaonic sites. For any Pharaonic history and arts fans, a trip to Luxor is a must. The city is considered to be an open air museum of antiquities. Even for tourists who do not want to spend a lot of money, there are many budget tours which start from Luxor to explore the magic of Egypt.